Here I look at homeopathy for children’s ear infections and give guidance on treating these yourself. Draft guidelines (Sept 2017) from NICE (National Institute of Clinical Excellence which advises on NHS treatments) suggest that “most common ear infections should not be treated with antibiotics”. Instead they recommend self-care and simple pain relief. This is because antibiotics in such cases are as likely to result in side-effects like diarrhoea and nausea as they are to result in improvements. Most childhood ear infections will get better in 3 days anyway. You may wish to try homeopathy as part of self-care for your child when they are showing signs of an ear infection – pulling at the ear in infants, describing ear pain if they are older and running a temperature. By matching your child’s individual symptoms to those that a remedy can help you may well be able to speed up their recovery. Read “My top 5 remedies” below for details of common remedies for earache. Two studies into individualised treatment of ear infections in children have shown significant results for homeopathy. If you are interested to read more details about this research, click on these links: study 1 and study 2. BELLADONNA – often the best remedy at the beginning of the infection. intense throbbing pain, often coming on mid-afternoon and worsening when the child is lying down in the middle of the night. They may well have a high temperature and look flushed but have cold hands and feet. 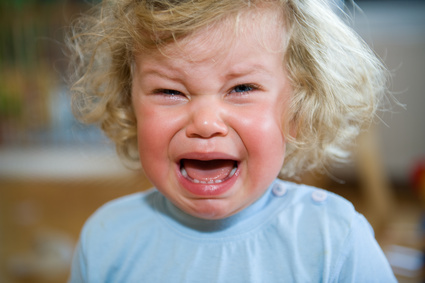 CHAMOMILLA – a particularly useful remedy for infants when they are screaming and very irritable. They don’t know what they want, demanding that you carry them but dissatisfied whatever you do. They may ask for a favourite toy only to then throw it to the ground. They will hate you touching their ear and often have 1 red cheek. PULSATILLA – a child needing this remedy will be very clingy, holding on to your legs or crying for a cuddle. They will probably have had a cold and now have lots of thick yellow catarrh. If they are old enough, they may describe a blocked ear or feeling of pressure. They will probably feel worse later in the day and improve if you can get them out for some fresh air. HEPAR SULPH – is a good remedy if there is sharp pain and especially if your child also has a sore throat. They may scream with pain especially at night and refuse to lie on the sore ear. They want to cover their ear and any cold air on it will make it worse. In themselves they will probably be chilly and irritable. MERCURY – look for a thick yellow-green discharge from the nose and possibly the ear too. The child will be sweaty and have bad breath and smell unwell. Their tongue may have a coating and they may dribble on their pillow. They may be fussy about the temperature of the room – not wanting it to be too hot or too cold. For advice on potency of remedy and how often to give it, see my post on treating it yourself with homeopathy. If your child is seeming extremely unwell, you should of course follow your instincts and seek medical help. Also consider checking in with your doctor if your child has another long term health condition or is under 2 and seems to have pain in both ears. If you would like further advice on treating your child’s current earache, please book a 15 minute appointment for advice on a recent minor illness. If you are concerned about your child’s frequent infections, have a look at my post on treatment for a child with a weak immune system. If you are wondering if a full consultation would be beneficial for your child, you might like to book a free introductory chat so we can discuss this.